May 13th-19th 2014 marks National Road Safety Week in Canada, a campaign aimed at making Canada’s roads the safest in the world. This campaign is designed to remind Canadians just how important it is to drive safely, obey all driving laws and ultimately keep yourself and others on the road safe. It focuses on behaviours that put drivers, passengers and others on the road at most risk, this includes: seat belt use, impaired driving, aggressive and distracted driving. It is important to always take precautions when you are driving, your driving not only can effect you but also those around you whether that be a cyclist, pedestrian, motorcyclist or another driver. Always be aware of everything around you to ensure the safety of yourself and others. If you are distracted by answering your cell phone it becomes harder to react appropriately and avoid a potential crash. It is crucial to limit your distractions behind the wheel to ensure the safety of yourself and others on the road. By taking your eyes off the road, even for a second you are drastically increasing the chances of being in a collision. Studies have shown that a driver using a cell phone is more likely to be involved in a collision than a driver who is focused on the road. In 2011, 31% of collisions resulting in driver/passenger fatalities were people not wearing a seat belt. That means 31% of fatal collisions in 2011 could have potentially been avoided if those individuals simply put on their seat belts. Seat belts save lives, always remember to buckle up. GoFleet works with companies to improve bad driving habits and overall increase road safety. Our advanced systems not only offer real-time GPS tracking, they also offer real-time in cabin audible alerts. Our devices will beep warning drivers immediately of a number of infractions such as not wearing a seat belt, speeding, and idling. Our devices also record high quality information about your drivers like speeding (their speed versus posted speed), harsh braking and harsh cornering allowing fleet mangers or company owners to then analyze the data and work with their drivers to improve safety. 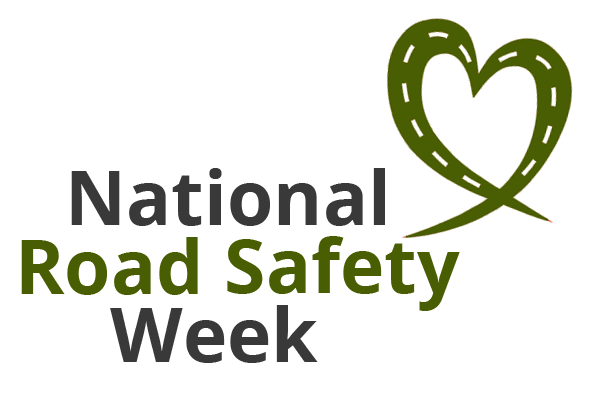 Canadian National Road Safety Week is sponsored by the Canadian Association of Chiefs of Police (CACP) and Transport Canada and is a part of Canada’s Road Safety Strategy 2015, which has a goal of making Canada’s roads the safest roads in the world by 2015. Drivers can expect stronger law enforcement during Safety Week, drive safely and make sure to obey all traffic laws. For more information on how GoFleet can help you run a safer & more efficient fleet, or for more information about GPS fleet tracking in general, contact us. Receive Real-Time Alerts & Monitor Driver Behaviour on the Go!